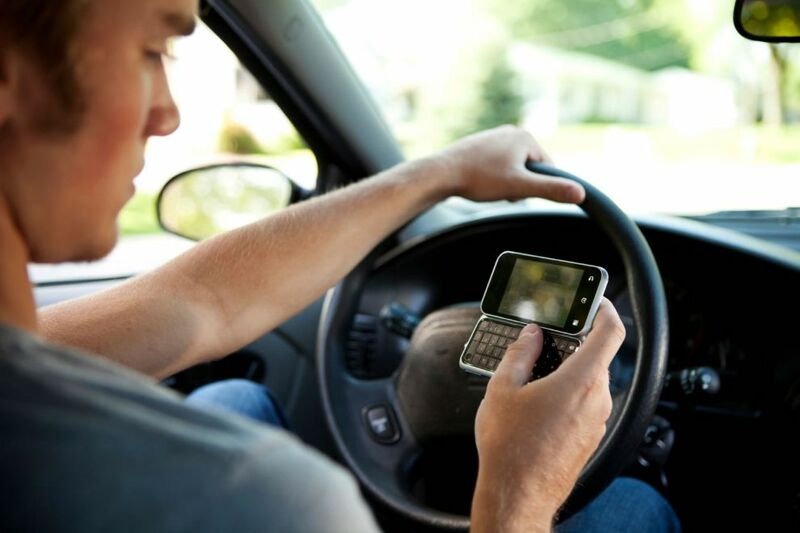 Florida distracted driving laws prohibit drivers from using cell phones for texting while driving. This state enacted the so-called “Florida Ban on Texting While Driving Law” in 2013, and it has been in affect since. In Florida, texting while driving is a secondary offense. This means law enforcement may only stop and cite you if the observed another traffic violation, such as speeding or running a red light. (3)(a) A person may not operate a motor vehicle while manually typing or entering multiple letters, numbers, symbols, or other characters into a wireless communications device or while sending or reading data on such a device for the purpose of nonvoice interpersonal communication, including, but not limited to, communication methods known as texting, e-mailing, and instant messaging. As used in this section, the term “wireless communications device” means any handheld device used or capable of being used in a handheld manner, that is designed or intended to receive or transmit text or character-based messages, access or store data, or connect to the Internet or any communications service as defined in s. 812.15 and that allows text communications. Texting while driving is prohibited to all Florida drivers. The law does not prohibit talking, nor using any wireless technology to read or write messages on phones or other devices. In Florida texting while driving is a “secondary law”. This means law enforcement officers may not pull you over and issue traffic tickets solely because you used a cell phone while driving. Instead, they can only stop you for another moving violation. Furthermore, Florida distracted driving laws do not apply to persons receiving messages related to operation and navigation of the motor vehicle, safety related information (emergency, traffic or weather alerts), data used primarily by the motor vehicle, radio broadcasts, using navigation devices, or conducting wireless interpersonal communication which does not require manual entry of multiple letters, numbers or symbols, except to activate, deactivate, or initiate a feature or function. Violating distracted driving laws in Florida is considered a noncriminal traffic infraction, punishable as a nonmoving violation. Any person convicted of a second or subsequent distracted driving violation within 5 years of a prior conviction may receive additional fines and penalties. Since distracted driving is a secondary law in Florida, you will likely receive additional fines and penalties based on other traffic offenses you committed while texting and driving. House Bill 45 and Senate Bill 76 are both up for approval in 2019. These Bills prohibit talking while driving in addition to texting, and require drivers to use wireless devices to operate mobile phones. If enacted, HB45 will also make Florida’s distracted driving laws a “primary law”, enabling law enforcement officers to stop and cite you even if you committed no other traffic violations. Both bills are scheduled for approval in 2019, and you can count on us to provide you with up to date information if they pass. Calling or texting while driving has been proven multiple times to be very unsafe. While Florida laws are very forgiving for distracted drivers, it’s always recommended to have full attention of the road. According to Florida Department of Highway Safety and Motor Vehicles, crashes caused by distracted driving are growing every year. In 2018 a total of 52,129 crashes with 233 fatalities were recorded to be caused by distracted driving (data as of February 2019; source). Basic headsets which allow hands free communication cost less than violating the law even once, and are proven to reduce accidents. This article about Florida Distracted Driving Laws was last updated in 2019. If any of our information is incomplete or outdated please let us know. Thank you!